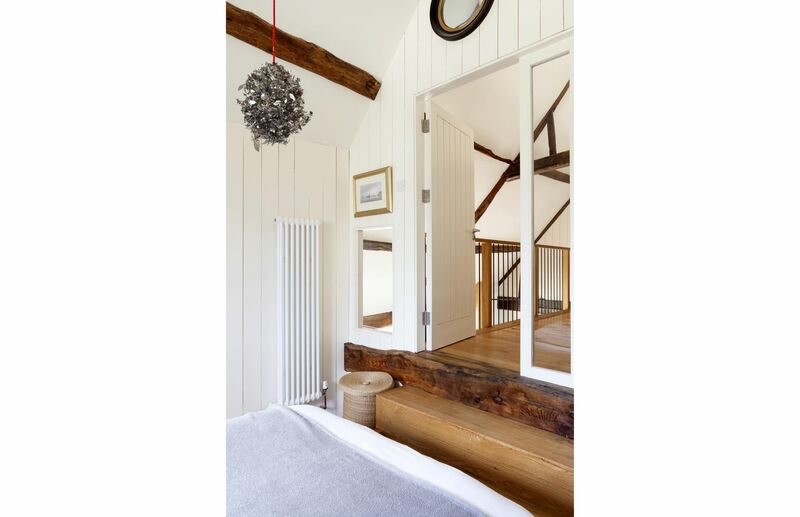 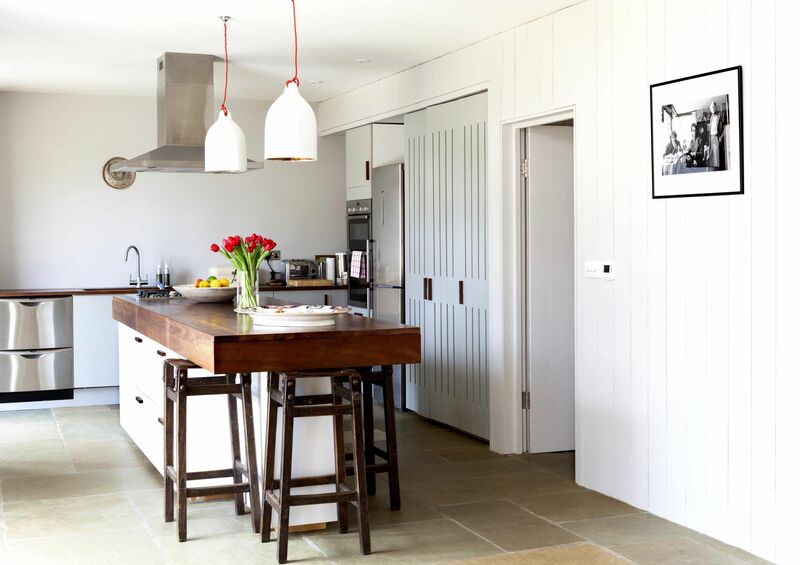 A conversion of a listed barn with a beautiful elm roof structure which dictated an intriguing contemporary design. 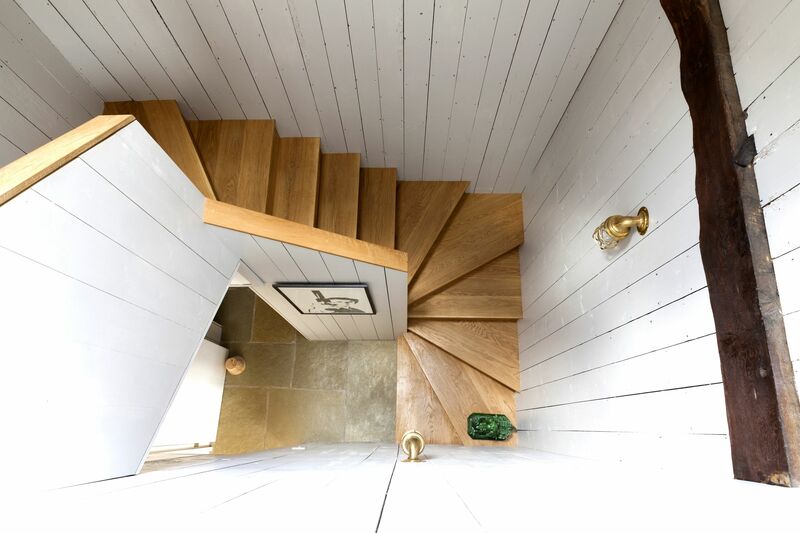 An open plan main living space with beautiful hand made kitchen faces the courtyard garden and tucked away in a corner are the stairs, utility and toilet. 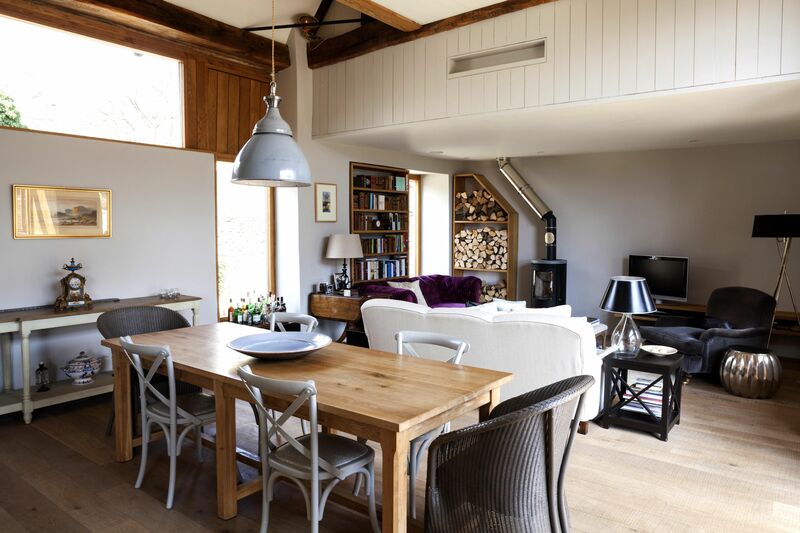 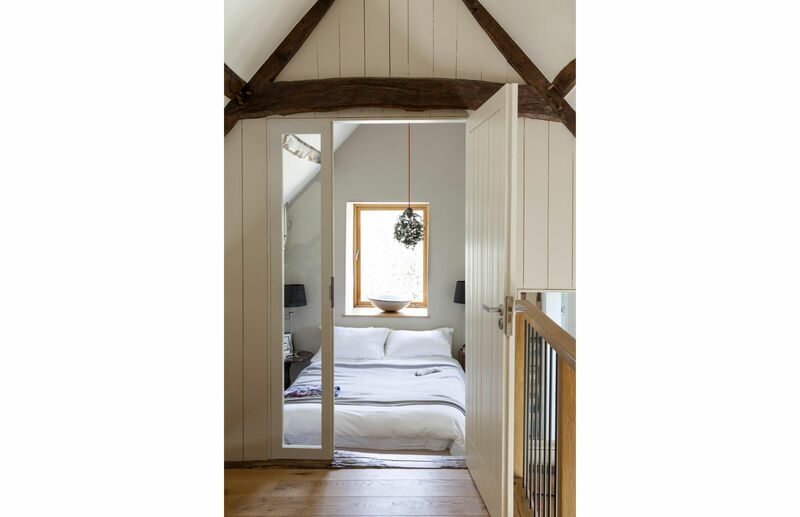 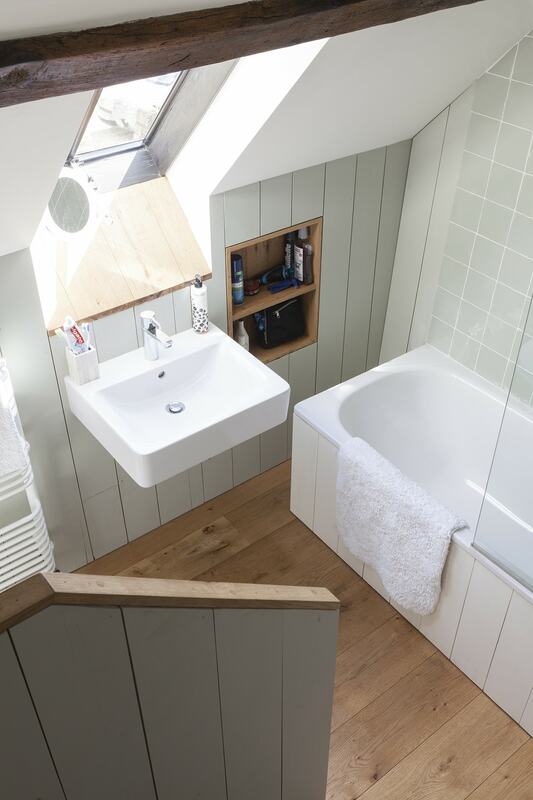 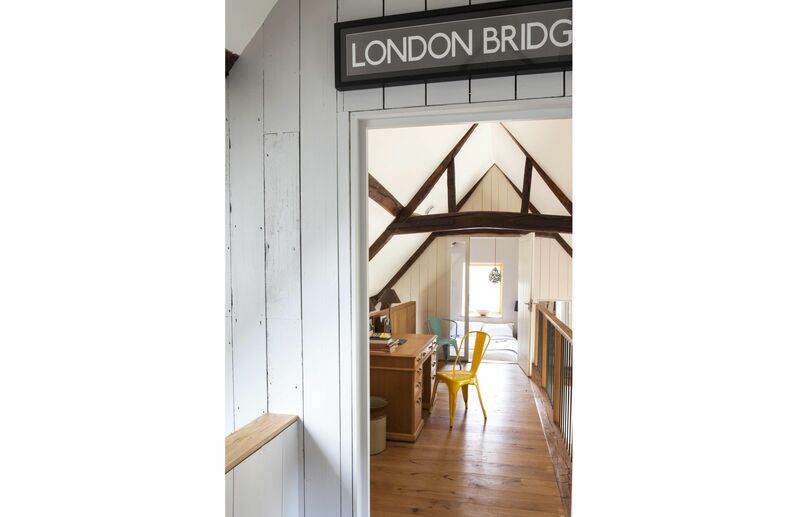 Upstairs three bedrooms and family bathroom fit snugly in amongst the amazing elm trusses; the whole design focused on celebrating the original structure. 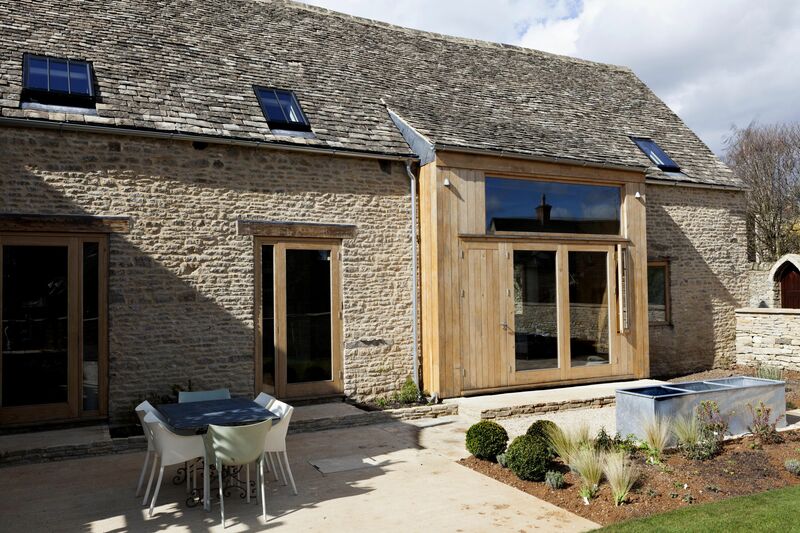 Internal woodfibre wall insulation, triple glazing and Mechanical Ventilation Heat Recovery (MVHR) with good airtight construction have resulted in very low energy bills.